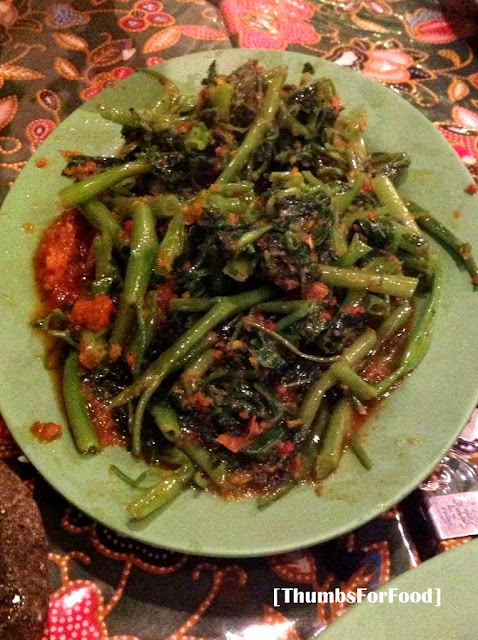 We chanced upon Cumi Bali Indonesian Restaurant as we were in the area and looking for something different to try. 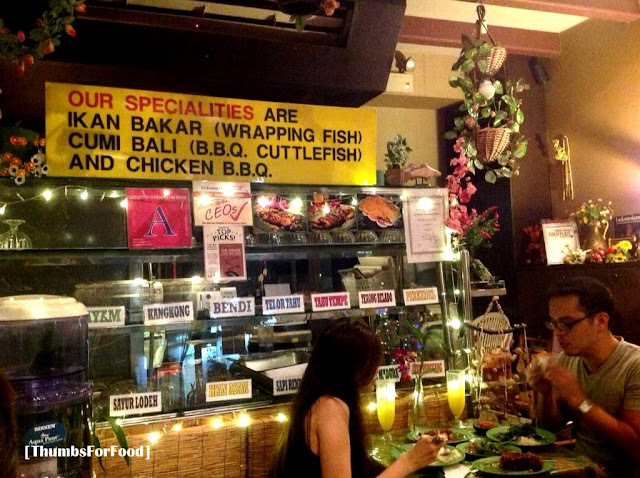 After doing a location search, we read reviews that Cumi Bali Indonesian Restaurant was good and served affordable and authentic Indonesian food. We had expected that the restaurant's decor to be simple and nothing fascinating. We stepped into a small restaurant where they had a glass display shelf like those you see in hawker centres in the restaurant with photos and signs of their specialties. The capacity of the place is rather limited with about around 20 people indoors and maybe 4-8 outdoors. So, don't expect to have an ambience in the restaurant! The prices in the menu however, really came to us as a shock. I read that the food is affordable. But, no, the dishes were generally priced above $10 and the meat dishes and grilled dishes were mostly above $20. Well, we thought that hey, maybe, the taste really is something that will blow us away. 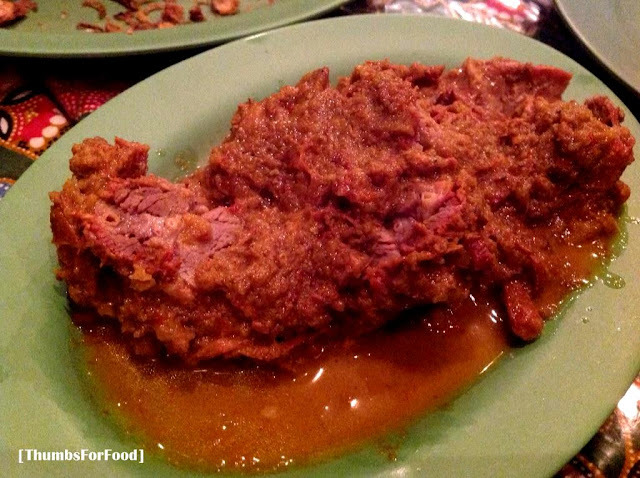 Beef Rendang ($12) is a dish where tender beef is stewed in gravy. The taste was alright. We didnt't feel that it was anything awesome or different. Maybe, just that the beef was tender? We did not like that the Beed Rendang was not served hot/warm. $12, I guess is not very worth the price. Cumi Bali ($22) was where the restaurant got it's name. 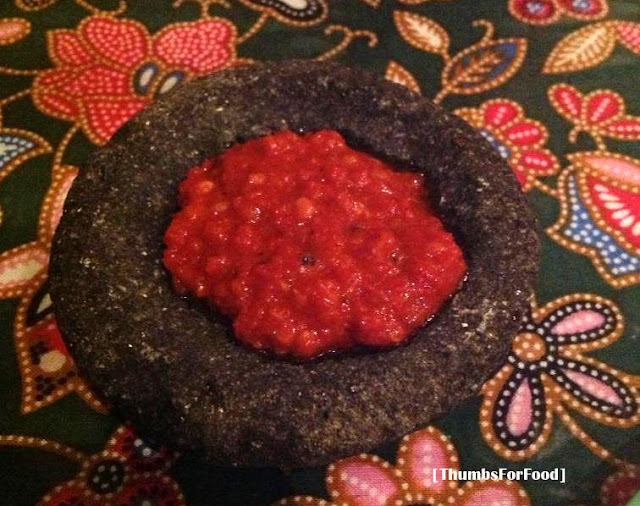 So, naturally, we had high expectations of the dish. Really, for $22 and this portion and taste of the squid, we will not be back. Maybe because the sauce was too sweet? I don't know, we just didn't find the gravy awesome enough. The only good thing perhaps is that the squid is cooked well, not over-cooked. But, nay, I don't really understand what's so high recommended this dish is about because to me, it tasted just average! 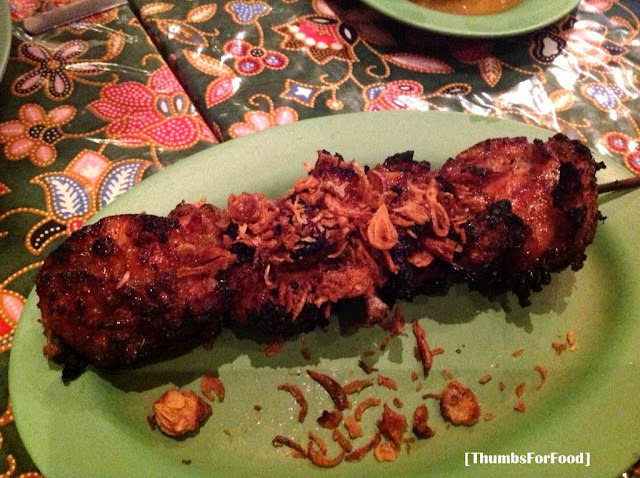 Chicken Satay (Satay Madura) ($7 a stick) was probably the dish that we enjoyed most. We felt that they marinated the chicken well and it was tender. Good thing that it was served warm. Well, but, the price is still a little steep aye? Chili Belachan was alright. Nothing too "wow" for us. 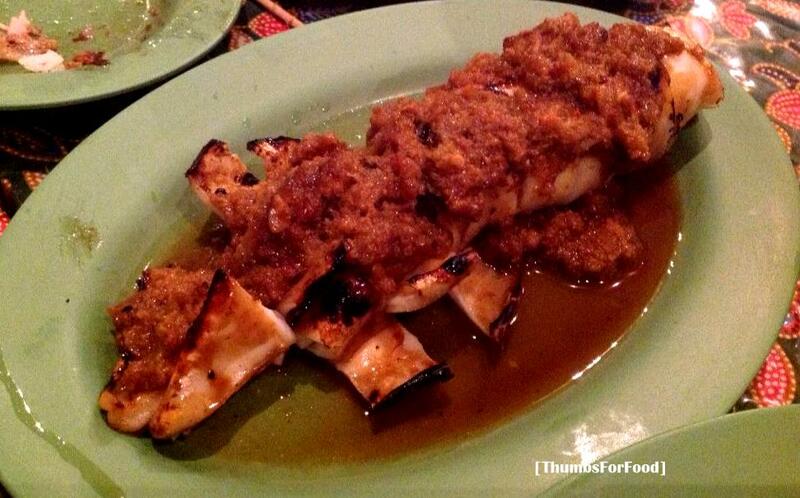 Kang Kong ($12) is like the most normal dish and nothing can go wrong. Average tasting. With the same standard, I can easily find a similar dish outside for a cheaper price. And drinks were like Lime Juice ($2) and Water ($0.50). 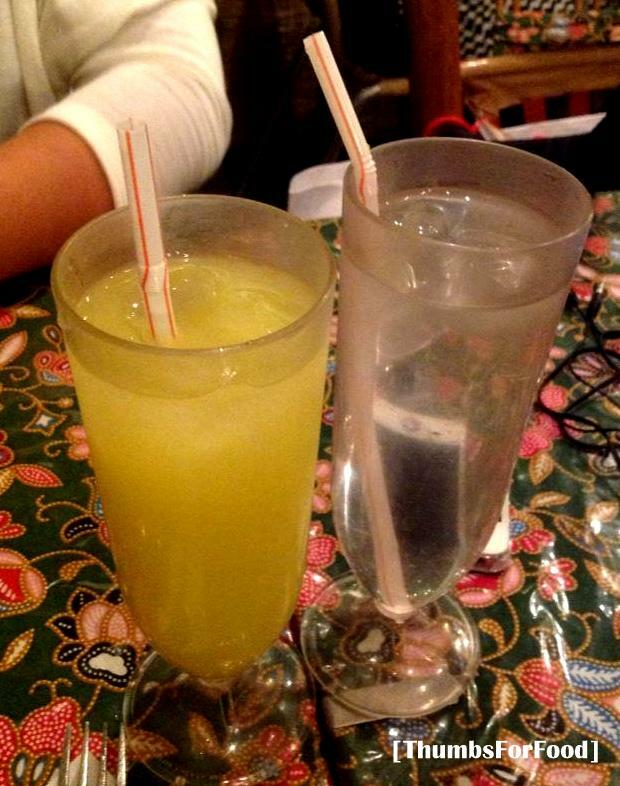 What more do I need to say about the normal-tasting drinks? Overall, really not worth the buck and overrated online. Food is good just not good enough for us to justify for the exorbitant price. Please do feel free to recommend us good Indonesian Food!